Flamenco NZ is available for corporate and private functions as well as festivals, seminars, promotions, films, recordings, workshops and concerts. Click here to enquire about our entertainment options. 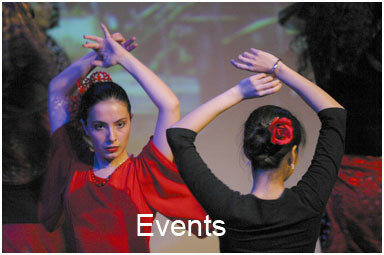 Over the years Flamenco NZ has created numerous flamenco productions. Prior Concerts include Gypsy Passion, A Night in Granada, Entre dos Aguas, Gypsy Soul. Concerts created and directed by Maria Elena almost always tell a story in dance and are often inspired by Flamenco Poems.